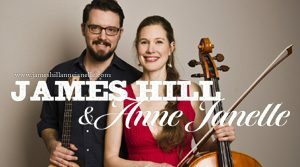 For those of you who don’t know James Hill and Anne Janelle, check out this video. Their concerts are always fun filled and full of hand clappin’, toe tappin’ energy. 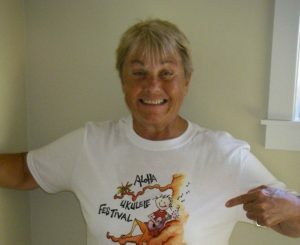 I am happy to say that our website is up and running with loads of information on the upcoming Nanaimo Ukulele Festival on July 15 and 16th, 2017. Visit our Facebook page and like us and let your friends know that we are here. New and fresh and raring to go. We are so excited about James Hill coming to teach us some new ukulele tricks in his intermediate workshops and get us tappin’ our toes at the Saturday evening concert. Rob Wilkinson of Arbutus Music will be leading the ukulele newbies with two beginner workshops. The Nanaimo Ukulele Festival will be at the Neighbourhood Church on Rutherford Road in Nanaimo. Check out the location on our website map. You can buy your workshop and concert tickets on line using your PayPal account. Your tickets will be waiting for you on Saturday morning at the festival site. There are a few places in Nanaimo, Parksville and Qualicum that you can pick up your Nanaimo Ukulele Festival tickets: Arbutus Music, Fascinating Rhythm in Nanaimo and the Mulberry Bush Bookstores in Parksville and Qualicum. We’d love to hear from you so send us a message. There is a contact form on the right side of the site. It’s going to be a great ukulele festival in 2017. Don’t miss an opportunity on Saturday morning and afternoon to take a workshop with James Hill or Rob Wilkinson of Arbutus Music. Whether you are a beginner or an intermediate player we have a workshop for you. Satur day, July 15th evening concert headliner is ukulele virtuoso James Hill and Anne Janelle on cello. Sunday afternoon kicks off with a performance from Parksville’s own Revolving Doors band, followed by a Jammin’ Jamboree. Imagine 200 ukesters playing along together. What fun! And all of Sunday’s festivities are by donation so if you feel like providing a little monetary support to the festival you can but there is no pressure. It’s all taking place at Nanaimo Neighbourhood Church, 4951Rutherford Road, Nanaimo, BC. No worries about the weather this year. We are working to get the nanaimoukulelefestiva.ca website up so you can stay up to date with news and information. We expect to launch by the end of April. You will be able to buy your workshop and concert tickets on line or at locations in Nanaimo and Parksville. Stay tuned and mark those dates in your calendar. It’s going to be “a great little festival”.